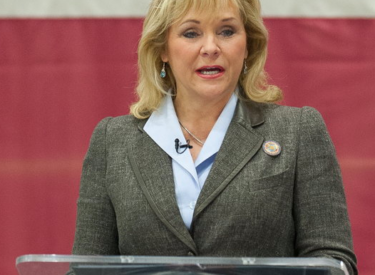 OKLAHOMA CITY (AP) – Oklahoma Governor Mary Fallin has commuted the sentences of nine more state prison inmates who were convicted of various nonviolent offenses. Fallin commuted the sentences Thursday, a little more than two weeks after she commuted the sentences of 21 other nonviolent offenders. Fallin says the nine inmates were incarcerated for 10 years or more for offenses that now carry either no prison term or significantly shorter time behind bars. The Governor commuted eight of nine offenders to time served, meaning the inmates will be released from custody as early as Friday. The offenders, seven men and two women, are among a second group of former inmates being assisted by Oklahomans for Criminal Justice Reform, a bipartisan coalition of community leaders working to help dozens of inmates seek a commutation.